In the bottom of crockpot , arrange chicken breasts in a single . In a bowl stir together minced garlic, onion, ground ginger, ground pepper, soy sauce, rice wine vinegar and honey. Pour the mixture over chicken and cook on high 4-5 hours. Depending on the size of chicken breasts you use, the chicken might be cooked in less time. It’s done when it could be easily shred with a fork. Transfer the chicken on a plate and shred with a fork. Place remaining teriyaki mixture from crockpot to a medium sauce pan. Transfer shredded chicken back in the crockpot and cover to stay warm while you making the sauce. In a small bowl dissolve cornstarch in cold water, then pour it in teriyaki mixture and whisk to combine. Bring it to a boil over medium high heat, stirring constantly. Cook for 1-2 minutes (it will thicken quickly). Pour the sauce over shredded chicken in crockpot and stir to coat it evenly. Serve chicken over rice and broccoli if desired. 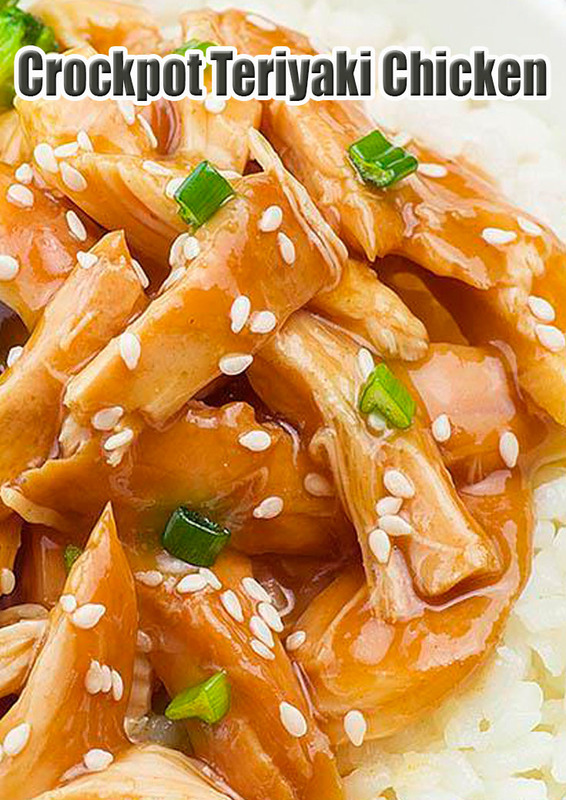 Top the chicken with toasted sesame seeds and sliced green onions.